Wood- Are you looking for a plant caddy or plant stand with high quality? Purchase this handy Plant Caddy Now, CERBIOR tools make your life easier! Poly Composite Round Pot caddy is a modern and stylish way to display your pots and protect surfaces from scratches and stains at the same time. 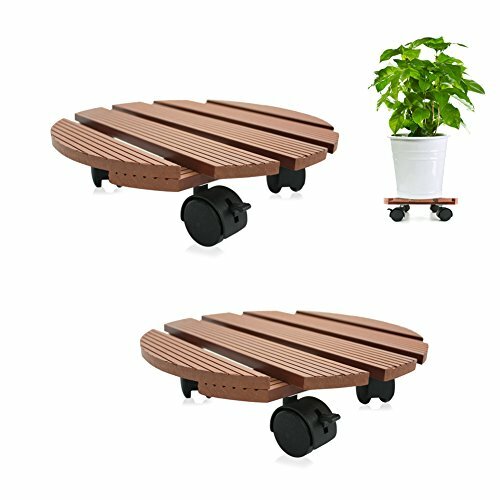 With its strong and sturdy design, you can reduce heavy lifting as it allows you to easily and safely reposition your potted plants indoors or outdoors. It features a locking wheel that secures your pots in place.